Over at twitter, I discovered a new project being proposed for artists who are looking for some way to use their talents to aid in the relief effort: START HERE. Please spread the word. From the site: START HERE is a collection of artwork inspired by Typhoon Ondoy relief efforts that aims, in turn, to inspire others to help in rebuilding the Philippines. The hope is that we can eventually set up an exhibit where we can sell the artworks with the proceeds donated to Ondoy relief efforts, rebuilding programs and calamity risk management programs. If you’ve got the talent but don’t know what to create for START HERE, read on. Don’t think of the tragedy that happened on September 26 2009 in the Philippines because of Typhoon Ondoy (Ketsana). Instead, think of what we can do to help rebuild the communities that were severely affected by the heavy rainfall and flooding. Think of all the people who have come together to bring hope to the survivors. Let this be our inspiration. Let’s also inspire hope and initiative in others by doing what we do best, through art! If you have any questions, please feel free to comment on this entry or send an e-mail to starthere.rebuild@gmail.com. And don’t forget to tell everyone you know! Yesterday, tropical storm Ondoy hit areas of Luzon, including Metro Manila, and dumped a month’s worth of rainfall within the span of six hours. For those who would like to help, I’m posting links to Manuel L. Quezon III’s mirrored blog entry with relevant information and links: here, here and here. Still in the throes of file/laptop deprivation (and illness), so that throws a wrench in regularly scheduled programming, but Sumintheblue has a post over at Bookmarked! announcing several events that might be of interest to Rocket Kapre readers, two of which happen tomorrow! First is the Flips Flipping Pages September book discussion on Patrick Suskind’s Perfume. I confess that I hadn’t heard about the book, but the plot of the book is intriguing (with speculative elements, although I’m unsure if those are all in the protagonist’s head). Alas, since the sense of smell to me is like the sense of sight to a mole, I doubt I’ll sympathize much with the main character. For those of you who want to join the discussion (you don’t need to be a member of Flips Flipping Pages), it’ll be this Saturday (tomorrow) at the New Bombay Restaurant, Gil Puyat Ave. corner Ayala Extension, Makati. Next is Ideas Alive, a seminar and workshop on how to be a “media creator” (which I read to mean tips on how to expand your story/concept beyond its original medium) by Jomike Tejido (Foldabots), and Budjette Tan (Trese). 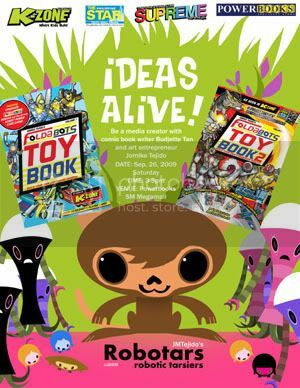 The event will be held on September 26 October 10 at 3-5 p.m in in Powerbooks Megamall. It’s organized by Powerbooks and the Philippine Star’s Supreme section. Finally, the New Worlds Alliance is holding a multimedia review contest for the Hunger Games. Contestants must submit a creative book review of The Hunger Games either in text, text with artwork, video, audio or any other multi-media format. The winner gets: 1 copy of The Hunger Games signed by Suzanne Collins; The Underland Chronicles (books 1 to 5–this is Collins’ previous work); 1 The Hunger Games shirt. The deadline is October 30 and more details can be found here. I would qualify “Rite of Passage” as a quiet space fantasy; quiet because there are no clashing lightsabers or firing lasers, just a man and his companions on a trek to find a new home away from their tribe. It’s not just any tribe, though, but a spacefaring one, and very much constrained by resources. The trek then takes on the form of a ritual, one that plays on the hopes and fears — the could-have’s and should-have’s — of the chosen one as he strikes out on his own. How did you hear about the Farthest Shore anthology? I believe I heard about it from several sources at about the same time. 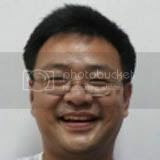 I’m subscribed to Ken Yu’s blog, as well as to Charles Tan’s and Joey Nacino’s (and now to Paolo Chikiamco’s ) so it must have been one of those. Prior to that, had you ever written a secondary world story before? Yes, “Twilight of the Magi”, a re-imagining of the Three Wise Men as battling wizards. That came out in the PGS Christmas Special. I didn’t consciously set out to write a secondary world story then, though; it just so happened mystical Egypt was the most logical setting. Only after the story came out did people tell me it qualified as a secondary world. Around three or four days, on and off. I can really only write in the evenings. That’s… mighty quick. Especially given you only write evenings. Is that your usual rate of writing? How many drafts do you usually go through? Heh. Well, it was a short story. But yeah, that’s about my pace, once I get going. I go over my work a couple of times, but I don’t usually do major rewrites: if I really don’t have a feel for the story I’m writing, I usually drop it and start over again. What aspect of the writing did you enjoy the most? Thinking about the backstory of the characters and the tribe, a detail which never really made it into the final version. Do you think you’ll ever revisit the world of “Rite of Passage” in another story? Probably not, as it’s a one-off tale with a theme behind it. But who knows, maybe. What aspect did you find most difficult? Heh. The writing itself. Because it never really quite comes out the way you want it. Were there any particular sources of inspiration for your story? I like to think the inspiration comes from the rite of leaving home, a necessary part of adulthood, but heightened with the fear that you can never go back. You’ve experienced the displacement that comes from leaving one home for another correct? Did that influence or enrich the writing in any particular way? Yes, I’ve left home several times, whether for work or for studies. I always managed to come back, though, and that’s a good thing. But I sometimes wonder what happens if you can’t go back. So those are the emotions which made their way into that story. Are you working on any new stories or projects now? I have a domestic scifi story that’s three-quarters written. I’ve put it away for a while because I got caught up in other things. I really should finish it. If you could write in a secondary world created by another (literary, television etc. ), which world would that be? What kind of story would you write? Well those authors all have works in the public domain already if I remember correctly. Think you’ll ever give their worlds a shot? I’d read that! Well, as long as Juan Tamad isn’t a member. Where else can we find your work? If I were to pick my favorite Philippine Speculative Fiction story, it would be Mia Tijam’s “The Ascension of Our Lady Boy” which first appeared in Dean Alfar’s Philippine Speculative Fiction volume 3. I love this funny-stark-sad story, which is about the coming-of-age of a gay boy living in the province, moving to the capital, and meeting his “fairy godmother”(the Filipino version). What makes this story great was the fact that it was written in the native language, an exercise in transliteration. Talk about making the English language jump through hoops! What’s more, the editors of the international collection Year’s Best in Fantasy and Horror probably felt the same since they gave it an honorable mention in their 2008 selections. Now there’s a story that was written for the local audience but managed to make it internationally. ==Kristel is a literacy advocate, has written for the Manila Bulletin, and helps run the Philippine Online Chronicles for the Vibal Foundation. She’s used Philippine Speculative Fiction as the basis for a college term paper, and maintains a blog dedicated to crime fiction where she posts about real-life mysteries and the best way to dispose of corpses. I chose two stories that have elements that appeal most to me as a reader. Obviously I have a very high regard for “historical stories.” Setting is something so underutilized in fiction sometimes, and it’s wondrous when writers can use it with great aplomb. The Death of Fray Salvador Montano Conquistador of Negros by Rosario Cruz-Lucero. (I’m not actually sure that this story would qualify as spec fic but it’s pretty wondrous for me so I guess that’ll do.) I wish more people read her, she’s a tour de force. From the opening paragraph, you are transported to a different space and time, a Philippines you and I don’t know. An Excerpt from Princes of the Sultanate (Ghazali 1902), annotated by Omar Jamad Maududi, MLS, HOL, JMS by Dean Alfar is a story written like an encyclopedic entry but the political intrigue happens in the footnotes, which at once a clever stylistic trick and a subtly poses a question about the nature of historical writing and how much of it is subjective. A very good piece of metafiction. 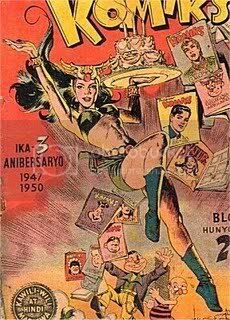 I don’t find it easy to call things favorites, and I really can’t recall the titles and authors of the short komiks stories I liked as a kid, so the ones I’m going to list might not be my all-time faves, but they certainly made an impression on me at the time I read/watched them. With local stuff, I find myself drawn to speculative works that have a comedy base. Alas, those works tend to lose a lot in translation, so it’s hard to share the love with people who aren’t comfortable with the Tagalog language. I remember that I enjoyed “Spirit Warriors” starring Joel Torre and a very young Vhong Navarro, but I don’t know if I’ll still like it if I see it again now. At any rate, that movie got me liking Vhong Navarro, who impressed me again later in his starring role in another fantasy cult classic, “Gagamboy“. I wish both movies were easier to find in local shops these days. I also love “Ang Kagila-Gilalas na Pakikipagsapalaran ni Zsa Zsa Zaturnnah,” the graphic novel by Carlo Vergara. It’s clever, hilarious, insightful and oh so memorable. I remember buying that book for some friends and all my secret Santas, a few Christmases back. Drained my thirteenth month pay like anything, but it was a worthwhile investment! It’s truly a one-of-a-kind work, and I’ve been hoping it would set the standard for other local independent comic artists. Well, maybe if it reaches more people? As for fiction – there are so many good new stories coming out, so I’m finding it hard to choose a favorite. I think it would be a toss-up between Dean Alfar’s “L’Aquilone du Estrellas (The Kite of Stars)“ and Michaela Atienza’s “Atha”. Not comedy, but both extremely well-written. “Atha” blew me away with the stark imagery. “The Kite of Stars” is a true classic, recommended reading for all ages. Dreams of the Iron Giant by Joseph Nacino. [Ed. Note: Philippine Speculative Fiction IV] What Nacino did was take tropes from world (military) history, Japanese pop culture, and fuse them with a sense of indefatigable hope in the face of adversity, which I read as distinctly Pinoy. On top of that, he used a real life conflict as a launching point for an alternate history built on references (Astroboy, sentai) that are an undeniably a part of the shared childhood of middle class Pinoy adults. I don’t want to waste too much of your time on what amounts to a personal choice, so I’ll put it straight: the work at the top of my list right now is Vlad Gonzales’s Lunes, Alas Diyes ng Umaga. To my knowledge, it only came out in a cheap anthology called “Pinoy Amazing Adventures”, which I picked up and reviewed way back in 2007. You’ll want a short explanation, of course. Lunes, Alas Diyes ng Umaga is a remarkable combination for me: I feel that it’s a piece of science fiction that touches on the less obvious aspects of the genre. Surprisingly, the story lacks the advanced technology that marks your traditional sci-fi. Instead, it places the reader in a very familiar contemporary situation, paces you through some very strange events involving parallel universes/timelines, and throws in a subtle twist that reflects a clear — and regrettable — facet of human behavior. I cite Lunes as my favorite local work of speculative fiction so far because I feel that it’s gone well beyond the other attempts that I’ve seen. It carries a central message that can only be effectively communicated via speculative literature, it ruminates on that knowledge, and it delivers without benefit of the usual trappings on which we poor amateurs usually depend. It’s easy enough for the man on the street to read and identify with, and it points out that some things about culture and humanity will never change, even when the potential of the entire universe lies at our fingertips. More importantly for me, however — and I’ve been chewing on this fact for the last couple of years — it represents the kind of story that I’d like to write someday. To me, it’s that nasty piece of writing that hits you right where it hurts, that work that makes you slap yourself on the forehead and wonder why you didn’t put it together yourself. In short, I wish I’d written it. Heck, I wish I’d simply thought of it. That’s a huge bit of estimation in my book. Budjette sent out a tweet yesterday that lead me to an interesting post over at (deep breath) When I Read These Novels, I’ll Be Able to Conquer the World which dealt with, amongst other things, why Darna was not inspired by Wonder Woman, but was instead probably our answer to the Marvel Family. The post goes on to talk about other heroes similar to Captain Marvel and co., including Captain Barbel. Me, I always thought Darna was a rip-off of this sadly forgotten heroine… but what do I know? Friday Focus segments can be reviews, recommendations or retrospectives of works that could be of interest to readers and writers of Speculative Fiction. If you’d like to volunteer to do one on a book, game, or what-have-you close to your heart, drop me a line at rocketkapre[at]g m a i l.com. You know that a book has been criminally under-promoted on the web when the only copy of the title page you can find is over at Kinokuniya Japan. That’s a shame, because Micahel Tan‘s “Revisiting Usog, Pasma, Kulam” is one of the most thoroughly researched books I’ve found to date on Philippine folklore and magic. It is in that attempt to order the vast and varied beliefs across the archipelago into a coherent–albeit an always porous and ambivalent one–system that the utility and beauty of this slim volume emerges. Whereas many of the published folklore studies are content to bury a reader under reams of lists and scatter-shot data, Tan’s book maps consistencies and contrasts between the different illness-related belief systems of the pre-hispanic Filipino (and how these have evolved and carried-over to our modern age) which can be a godsend to a writer who is, say, trying to come up with a Philippine-folklore influenced magic system, but who is overwhelmed by the sheer variety of pre-Hispanic beliefs; examples of this are when he analyzes the nature of “contagion” in folk beliefs, and when he clarifies that the pre-Christian understanding of mystical retribution was not rooted in an external, vengeful God, but in the belief that some actions carried disaster as a natural consequence. I haven’t finished the book myself yet–it’s a dense read and, to the horror of my wife, I’m taking notes–but I’ve read enough that on this Book Fair Weekend-eve, I can heartily recommend it to anyone interested in Philippine folklore, especially writers. I saw copies at the UP Press booth, so if you’ve got the time and the cash, try to grab a copy. Join the Science Fiction & Fantasy Writing Workshop and explore both genres not only as a reader but as a creator! The workshop will help budding sci-fi & fantasy writers be proud creators through discussions, exercises and projects. Stories will be compiled into a short story anthology to bring home. Four sessions. Php 2,000 per person. October 3, 10, 17, & 24 @ Fully Booked.